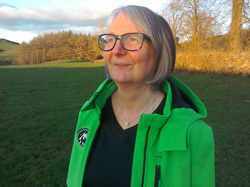 As well as bespoke activities for you, your friends and family I am involved in lots of activities and events along with other businesses and organisations. 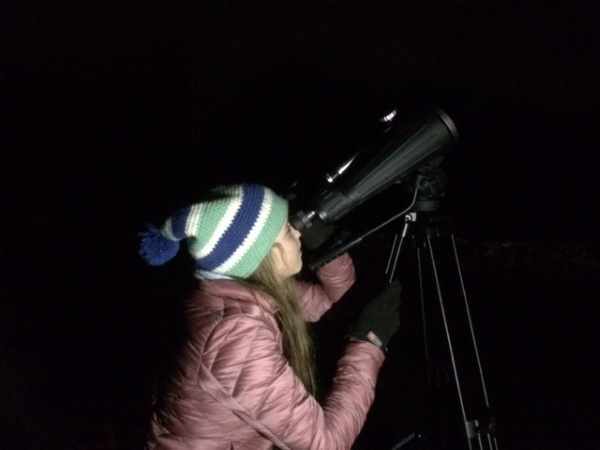 I had a great night stargazing and exploring the cosmos with the Big Band Weekend in Wigtown. The skies were kind to us and we got a great view of all the constellations. Wigtown Book Festival. I did several very successful stargazing activities at the Wigtown Book Festival. 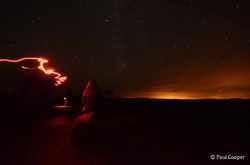 It is great to be working as a Biosphere Dark Sky Ranger at a prestigious event like this and all my stargazing evenings have been sold out with waiting lists. 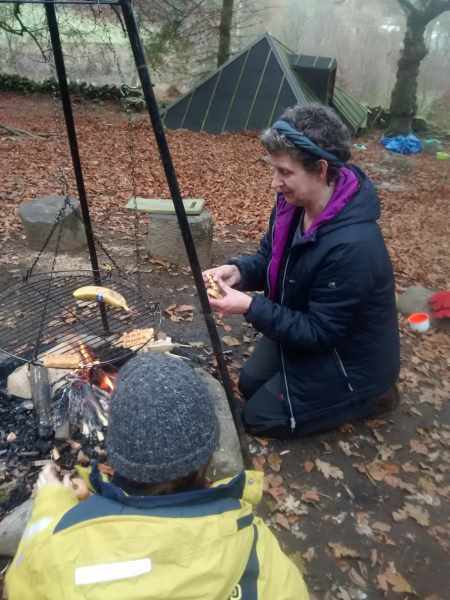 Kirkcudbright Cycles for Life hosted the Kirkcudbright Guides and invited me along to do some safe campfires with them after our cycle..
Nith Raid with some of my water lab and making shelters. 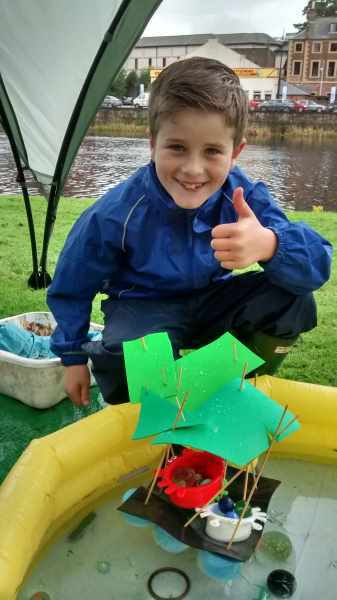 I was at this great arts event beside the River Nith in Dumfries finding out what floats and sinks. The day is all about boats and other water transport so to go with the theme we made toy rafts and boats. The designs were all fantastic. 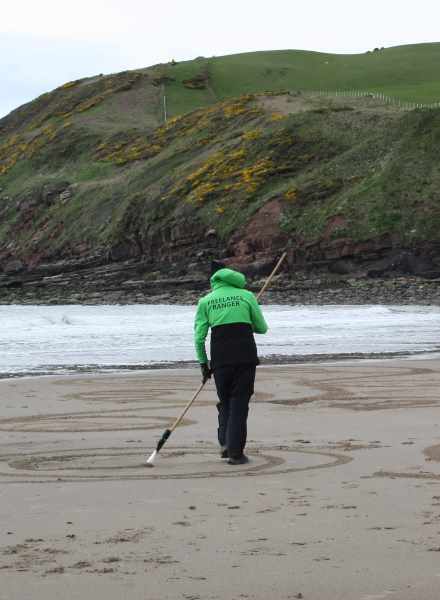 I did some sand raking as part of the Beach Art day from the Cumbrian Wildlife Trust. They have asked me to base my design on the undersea animal, the sea pen. These creatures are endangered by dredging and some fishing methods so they would like them highlighted. 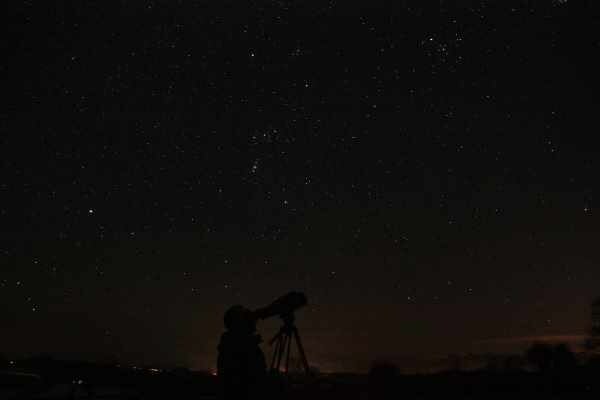 We did see a few stars but the weather was a bit cloudy over Christmas. 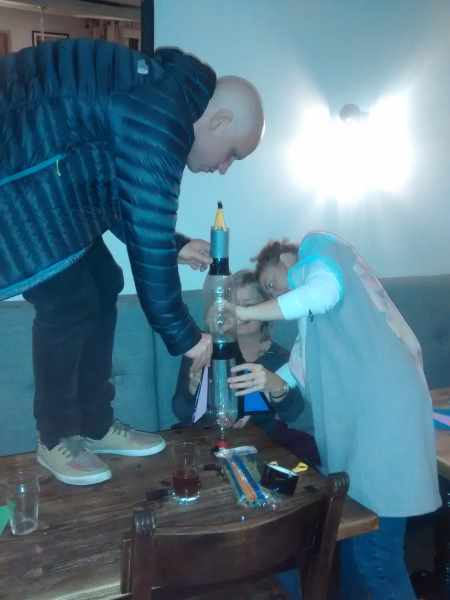 Luckily I had another activity that we could do and this grown up family really got into making their home made rockets and were very competitive. 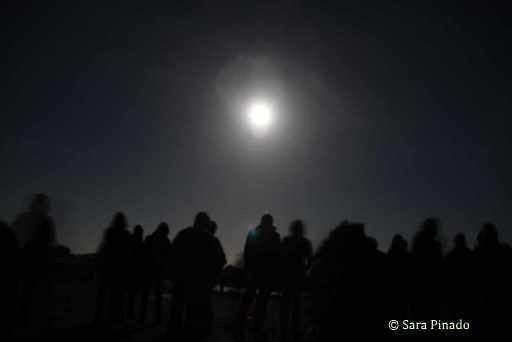 We had good fun launching them and being out in the dark ready for any stars that put in an appearance between the clouds. I lead a couple of sessions at Loch Arthur Forest School. 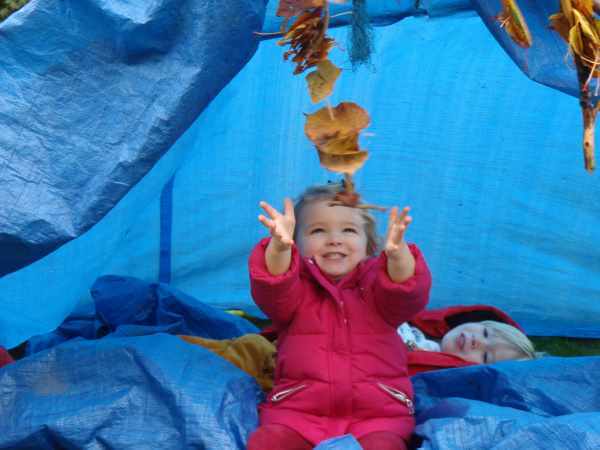 The children are quite young and so we did some leaf collecting and stringing one week and shelter building the next. ​I was at Allanton World Peace Sanctuary in August for a day of Forest Schools activities. They have just started their own Forest School and want to promote it and get more people involved. 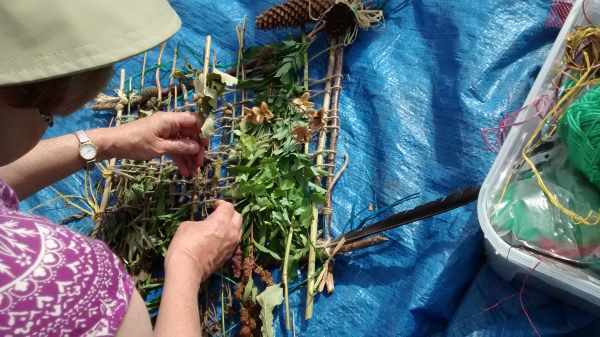 I will be leading a journey stick or weaving activity in the morning of the 2nd of August to help everyone get to know the area better. 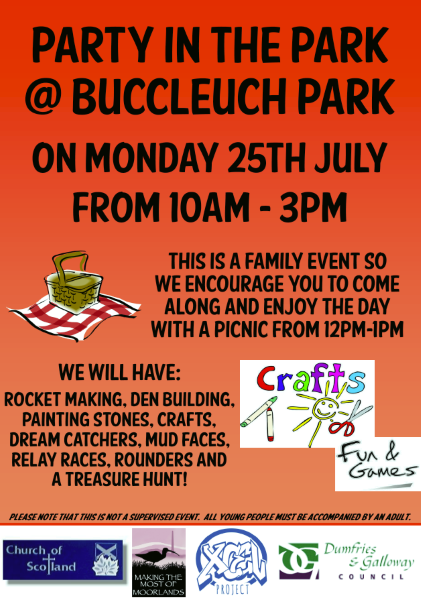 We had some great times at the Dock Park in Dumfries with another mud faces activity and also the first appearance of my ALL NEW Water Laboratory. A good one to have after getting mucky and good to work with Dumfries and Galloway Council again. Especially in one of the places where I used to play when I was a kid. I did a day time space session with Orchard Nature Nursery we had great fun with my sun spotter, finding out about the moon and making rockets. 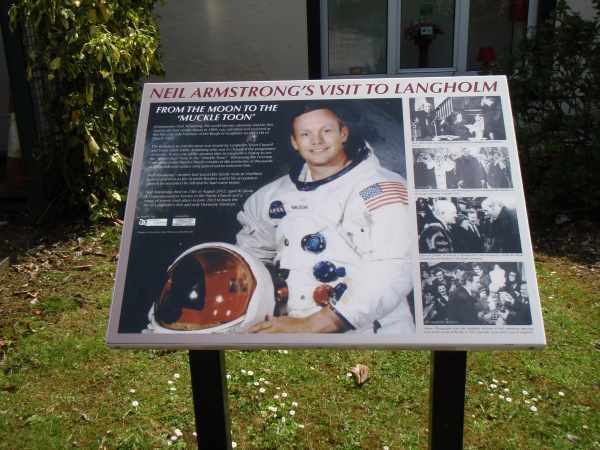 Stargazing in a place like Langholm so strongly associated with Neil Armstrong was a real treat. The sky was clear and all the families enjoyed the stargazing and some campfire cooking too. 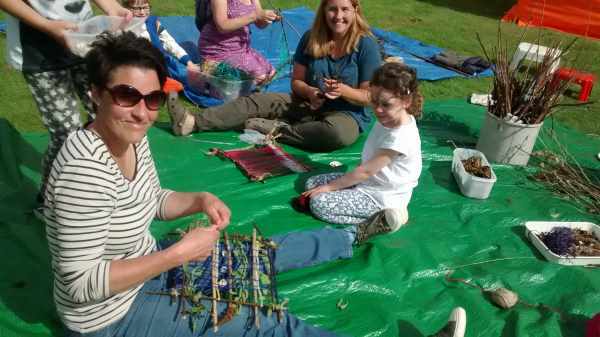 ​I did some activities in Langholm with Dumfries and Galloway Council to help get people out and using their local park. It is great to get people thinking about an area in a different way. I made rockets including bringing some of my lemonade bottle rockets to try out and people to added mud faces to the wonderful trees that they have there. I lead a CPD Beach Scools skill share with the Dumfries and Galloway Outdoor and Woodland Learning for World Oceans Day. We discussed what the differences were between areas normally used by participants and Rockcliffe Beach. Tides were investigated and measured and a big difference was the lack of physical resources for shelters and fires etc. compared to woodland areas. I was at Ballantrae Food Festival providing an activity for the Galloway and Southern Ayrshire Biosphere who I work with regularly as one of their Biosphere Dark Sky Rangers. 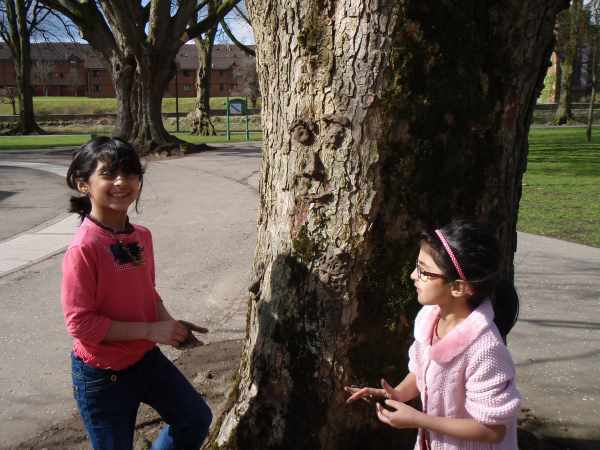 It was great fun and we wrote on the Biosphere Stones to leave messages and then used an Ayrshire potato stamp in the shape of the Biosphere logo to leave out mark. We have put these back on to the beach and they blend in really well so it will be interesting in the months to come to see if any are found. 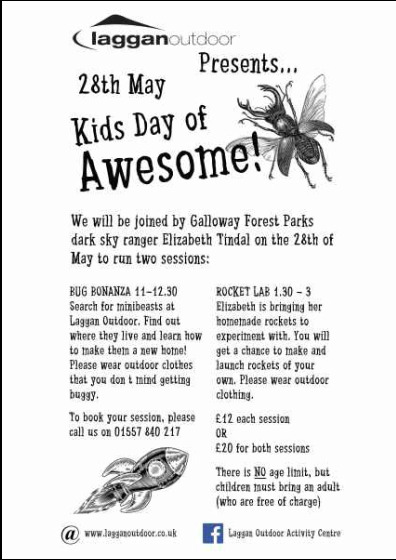 Some fun activities for Laggan Outdoor for younger visitors which created more biodiversity around their centre and some great excitement with rocket launching. 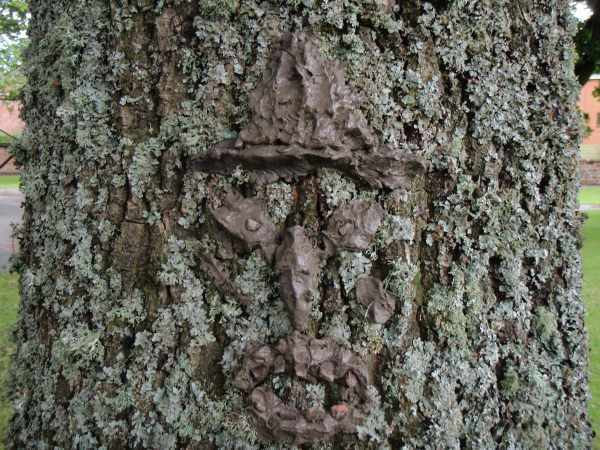 I was worked for Dumfries and Galloway Council over Easter making mud faces and running a scavenger hunt at the Dock Park in Dumfries with loads of children. We made more mud faces in the summer too and added a water lab including a bottle xylophone. If you stay in Corsewall Estate Cottages they often have Ranger Activities for their guests that I run. We made a great bug hotel and did some stargazing recently. 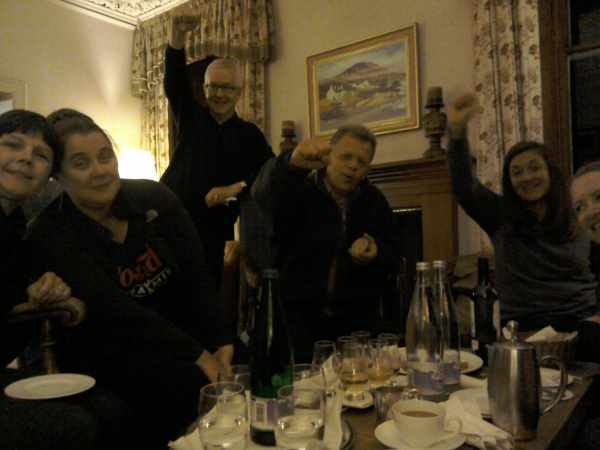 I recently went stargazing with some American travel journalists at Knockinaam Lodge, Port Patrick. Check out my blog on the night we had.